Many individuals like to reenact medieval events and times, those of pre-17th-century European history. Often medieval reenactors develop a new persona, including an alternative name, while attending events and develop period skills such as sword fighting, archery, calligraphy, and cooking. Medieval reenactment is a fun activity and the enjoyment can be conveyed to a funeral while still celebrating the deceased in a respectful manner. Planning a funeral or memorial service for someone who was active in medieval reenactment groups can be somewhat challenging because it brings together two worlds: the fantasy world of medieval reenactment and the real world of the present. Imagine the deceased coworkers meeting the deceased medieval friends dressed in their finest medieval garb. However, if the deceased loved medieval reenactment then friends and family should welcome a medieval themed funeral. As with most funerals, the first decision to be made is if the deceased will be buried or cremated and if the body will be embalmed. In general, embalming is not a legal requirement if the body is interred, cremated, or refrigerated within 24 hours of death but the requirements are different in each country (Australia, for example, requires full embalming for above ground mausoleum crypt internment). For those concerned if embalming is appropriate for the medieval period, rest assured that rudimentary embalming practices were practiced in Europe after about A.D. 1500; however, embalming was relatively rare and was primarily for the purposes of studying human anatomy. In today’s era, the embalming of a body is primarily for the purposes of a viewing during, or prior to, a funeral. 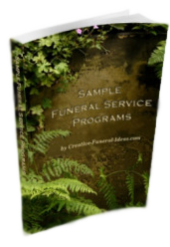 Once the basic decisions about the final disposition of the deceased have been made, the funeral event becomes the focus of the planning. First, a location must be chosen. 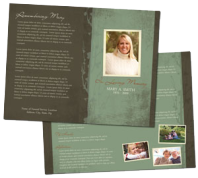 The mortuary chapel or a rustic church is a practical choice as each of these venues are accustomed to hosting funeral services and can they accommodate the medieval theme. Other locations can be considered such as a graveside service or a favorite location of a medieval reenactment event. Music choices should also compliment the medieval theme. Celtic music is a good choice as it is easy to find in the modern world and can showcase either a somber or a rowdy mood. Bagpipes are also a good choice, especially if the deceased has served in the military, police, or fire departments. Another option may be for fellow medieval reenactors to perform a bardic tribute to the deceased. During medieval times, funeral sermons usually focused on the person in his or her role in society, not as an individual. In today’s modern world this approach is seen as cold and unwelcome and a more personal eulogy is generally preferred. This is a great opportunity to bring the two worlds of the deceased together and ensure a full picture of the deceased is presented. When deciding who should speak at the funeral strive to include people from different aspects of the deceased life; for example, in addition to close friends and family members, ask a coworker or a boss, friends from medieval reenactment, religious associates, acquaintances from a book club, or members from a sports team to speak. Even if the speeches they offer are small tidbits of information they will greatly add to the portrayal and celebration of a whole person. 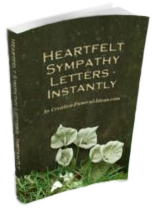 Flowers and other decorations to display during the funeral are a very personal choice. Certainly those items and awards that the deceased made and earned within the medieval reenactment world should be on display during the funeral service. Unless the deceased had requested specific favored flowers, flowers common to the medieval period include roses, daisies, foxgloves, irises, lilies, peonies, and violets. After the funeral service the deceased may be taken to the cemetery. The burial ceremony at the gravesite can be attended by only by family or an invitation can be extended to everyone who attends the funeral. If a reception or other special event is planned after the burial, ensure that all who attended the funeral are invited and know the date/time and location of the event. A medieval themed banquet or reception can be planned following the funeral and burial. Food is a common and very important aspect of medieval reenactment and great pleasure and effort is taken to ensure that foods that were not in general use in Western Europe before 1600 are not used. This list of “prohibited” foods include tomatoes, potatoes, capsicum peppers (chili pepper family), pecans and chocolate. This restrictive list may present a challenge to the average caterer or home chef so a medieval potluck feast may be an appropriate solution. Those unaccustomed to cooking medieval foods may bring simple dishes such as cheese, bread, grapes, wine, or olives while those highly accomplished medieval chefs can focus on the more difficult dishes. It is always a good idea to precoordinate with some of these expert chefs to ensure that they are willing to perform the difficult cooking tasks. Another way to celebrate the deceased is to hold a special memorial tournament. This event can be hosted by the deceased’s medieval reenactment group and could be archery, fighting or other similar skilled challenge event.